Question 29: Have you ever hated anyone? If so, why and for how long? I love how these questions really make me think. 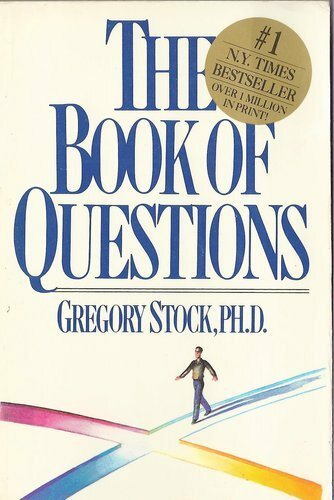 And when I first got this book at the age of 16 my answers were very different to when I was in my early 20s and they are different to how I would answer them today. I've met a lot of people in life. Family members, children I met through school growing up, people through sporting teams, people online, people I've worked with and come into contact with through work and university and through my children. And there are of course people who I don't get along with, people with whom I do not see eye to eye. There are many people out there who I actively dislike. But there's only ever been one person I've ever hated. And that person is me. That's right: me. It's been one of those ongoing things. From early adolescence up to a few years ago, the only person I've ever felt so strongly about is myself. And I wish those strong feelings were positive in anyway, but no. I have this voice in my head that constantly tells me that I'm no good, that I'm not worth anything, that I don't deserve love or happiness. That voice cheers every time I fail, that voice loves to tell me that I shouldn't get my hopes up. These thoughts were most prominent as a teenager, helping along my eating disorder, my depression, my suicidal thoughts, my self-harm. And while my life has become a lot better in so many different ways since those days, that voice lingers on. But without any great strength. And I can tell you roughly when things began to change. Things were getting better before, but on the 28th of November seven years ago I became a mother. And everything in my world changed. They had to change. Because seeing the beauty of my newborn child, I became to view myself in a different way. There became less room within myself to carry on my self-hatred. In its place, shoved out roughly, was love for this new little person that I helped create. What about you? Have you ever hated anyone? When I was 11, I would say I hated my bullies. Now at 21, I still hate what they did to me but mostly I'm just glad I've grown up and away from them. I can definitely understand that. I was bullied as a child, but I never really hated anyone else, I think I hated myself for being someone who was bullied? Thank you for such a personal post, Michelle. I'm so glad you're boys have stopped you from feeling that way about yourself. Interesting post! I am so glad you don't feel that way anymore and that your sons have helped you see yourself in a good way. You are a lovely person and I really enjoy talking to you. I guess that I haven't really properly hated anyone, I dislike people but I don't think my feelings are filled with hatred. There is a girl in my year group who I despise, she is obnoxious and mean and just .. urlghk. What makes it worse is that a lot of people see her as funny and nice. She doesn't actually bully me though, I just shrug off the insults because they don't offend me. The book is fantastic! I really love it. And I wish I had your great perspective when it comes to not nice people who say mean things.